Are you an Asian American or Pacific Islander (API) artist or creative and looking for other artists or creatives in Portland to hang out with? Do you get excited about the intersection of the arts and activism? Are you passionate about climate justice and using art to highlight that issue? 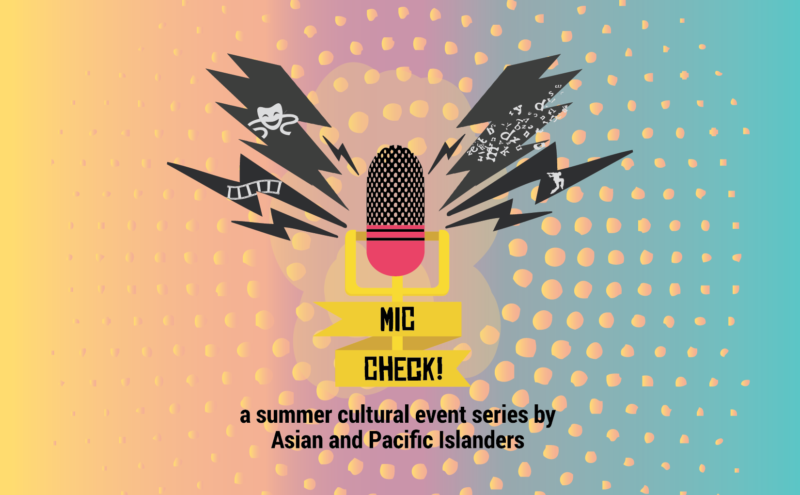 APANO’s Arts & Media Project (AMP) invites you to join us on Thursday, August 4th at Canton Grill for the official kickoff of this year’s MicCheck! Summer Cultural Event Series. MicCheck! is the annual flagship program of our Arts & Media Project, and utilizes the arts to illuminate pressing issues faced by APIs. The series features voices of APIs whose stories are often silenced or unheard by engaging in community-relevant topics such as health equity, education, and interracial solidarity. This launch party will also introduce artist and AMP member, Carolyn Chu, as she discusses her work in creating posters after facilitating a climate justice community workshop last spring. This annual series brings community members and practicing API artists together, creates a bridge to share ideas, and rewrites dominant representations of APIs. At the event, AMP members will introduce each event taking place this summer which begins with ADAPT breakdance competition on Saturday, August 20th and ends on October 21st with the art opening and theatre performance by Sabina Haque and Living Stages, highlighting the history of East Portland and 82nd avenue, with local youth from Harrison Park Elementary at the Jade/APANO Multicultural Space. See the list of MicCheck! events below or on the MicCheck! Main Page. We hope to see you at one of these this summer!